Padtec, a global supplier of optical communications systems based in Brazil, agreed to sell its submarine optical systems division to IPG Photonics for R$75 million (approximately US$20 million). IPG Photonics is a US-based supplier of high power lasers and amplifiers. In addition to the optical repeater, Padtec's submarine systems division acquired by IPG also includes the structure for submerged plant deployment, operation and maintenance services. development and to the expansion of the company in the global market. Padtec’s advisors were IGC Partners and BRGC Advogados. "We are very happy to know that a globally recognized company, such as IPG, validates, with this transaction, the value generated by Padtec. We are also happy to know that IPG will continue the development efforts of Padtec", stated Manuel Andrade, Padtec’s CEO. "In recent years, we have seen Padtec's customer base grow exponentially in Brazil and Latin America and this has boosted the company's business. Moving forward, the focus of the company will be to direct these additional resources to continue to offer advanced and robust products and services, making Padtec increasingly competitive", says Argemiro Sousa, Padtec’s EVP Sales. "This acquisition will allow IPG to advance the market for submarine networking systems," said Ekaterina Golovchenko, IPG Photonics' Vice President of Telecommunication Systems. "Combining Padtec’s leading-edge submarine network technologies with IPG's high-power optical amplifier, Raman pumping, and WDM systems technologies will enable us to effectively compete for a growing number of undersea cable network deployments around the world." CyrusOne is making a $12 million investment in ODATA Brasil S.A. and ODATA Colombia in exchange for a 10% equity interest in S.A.S. (collectively “ODATA”). ODATA is focused on hyperscale cloud companies. The company currently has over 12 MW of capacity with plans to develop over 100 MW in Brazil, and will soon be launching construction in Colombia. ODATA is majority owned by Patria Infrastructure Fund III, managed by Patria Investments (“Patria”), a leading private equity firm in Brazil. 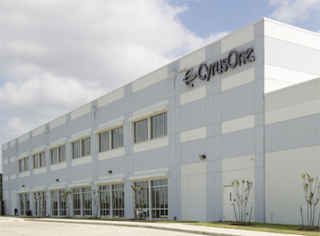 In connection with this investment, CyrusOne and ODATA entered a commercial agreement covering leasing activity with CyrusOne customers in the ODATA portfolio. In addition, Kevin Timmons, CyrusOne’s chief technology officer, will join the ODATA board of directors. Digital Realty will acquire 424 acres of undeveloped land in Loudoun County, Virginia for a total purchase price of $236.5 million, or approximately $558,000 per acre. The site is adjacent to Washington Dulles International Airport and located near bulk transmission lines as well as a major fiber path. The site is also located less than four miles from Digital Realty's existing data center campuses in Ashburn, Virginia. "We are pleased to expand our footprint and strengthen our position in Northern Virginia, the largest and most important data center market in the world," said Digital Realty Chief Executive Officer A. William Stein. "Customers are looking for long-term commitment, along with the flexibility to support their deployments and connection nodes, as well as the ability to land and expand within the same location – all of which align perfectly with our Connected Campus™ strategy." Separately, Digital Realty agreed to acquire Ascenty, a leading data center provider in Brazil, from private equity firm Great Hill Partners in a transaction valued at approximately $1.8 billion. Ascenty has eight state-of-the-art data centers strategically located in the key Brazilian metro areas of São Paulo, Campinas, Rio de Janeiro and Fortaleza. Most of the Ascenty facilities have been designed and built to Tier III standards and meet internationally recognized facility and service standards. The Ascenty portfolio is comprised of 106.2 megawatts of total planned capacity, including 39.2 megawatts of capacity currently in-service, 34.0 megawatts of capacity under construction and 33.0 megawatts of potential additional capacity. In addition, Ascenty has options or leases on five separate sites representing up to an estimated incremental 66.5 megawatts of potential future growth capacity. Ascenty also operates a proprietary, 4,500-kilometer fiber network connecting Brazil's primary technology, finance, and population hubs of São Paulo, Campinas, Rio de Janeiro and Fortaleza. Brookfield Infrastructure, an affiliate of Brookfield Asset Management, one of the largest owners and operators of infrastructure assets globally, has committed to fund half of the required initial equity investment, currently estimated to be approximately $613 million, excluding Brookfield's share of the transaction costs, in exchange for 49% of the total equity interests in a joint venture entity expected to ultimately own Ascenty. 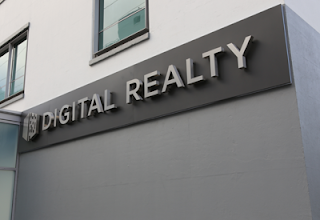 In addition, Digital Realty has commenced an underwritten registered public offering of 8,500,000 shares of its common stock. Copel Telecom, a regional telecom operator in Brazil and a subsidiary of the electric power utility company in the State of Paraná, has deployed 200G optical transmission technology from Coriant to scale its fiber backbone. Copel Telecom uses Coriant's hiT 7300 DWDM platform to power its regional backbone, which supports residential Internet services covering more than 81 cities as well as corporate services offered in all 399 municipalities in Paraná. The recent upgrade uses Coriant CloudWave Optics technology to increase line-side transmission speeds to 200G per wavelength. In addition to increasing reach and spectral efficiency, the programmable interface solution enables Copel Telecom to reduce power, footprint, and cost as the network scales. 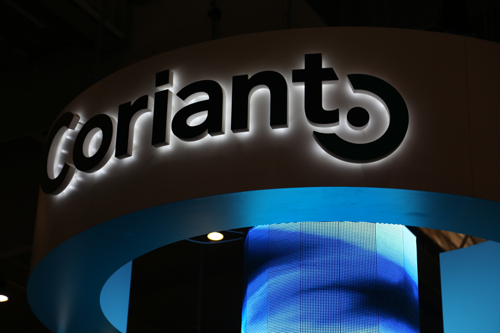 Enhancements to the Coriant Transcend Chorus transport network management system enable simplified end-to-end service provisioning and advanced network control through software-defined programmability and automation. Coriant CloudWave Optics combines advanced digital signal processing, photonic integration, and embedded software to enable flexi-rate coherent interface support including QPSK (100G), 8QAM (150G), and 16QAM (200G), with the latest generation of CloudWave Optics supporting higher baud rates and additional modulation formats, paving the way to transmission speeds of 400G per wavelength. Telecom Argentina will host the ARBR submarine cable system between Argentina and Brazil at Telecom Argentina cable landing station in Las Toninas, Argentina. Telecom Argentina will provide ARBR with dark fiber on a backhaul route between Las Toninas and Buenos Aires, as well as point of presence (POP) space in Buenos Aires. ARBR is a forthcoming fiber subsea cable system developed by Seaborn and co-owned by Seaborn’s Seabras Group together with The Werthein Group, an Argentine investment holding company. Construction of the ARBR cable is scheduled to commence in 2018 and to be completed in 2019. ARBR’s Brazil landing will be in Seaborn’s existing Seabras-1 cable landing station in Praia Grande, Brazil, thereby enabling direct onward connectivity to New York on the fully operational Seabras-1. 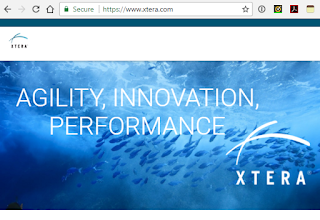 Xtera will supply its subsea optical transmission system for the ARBR submarine fibre optic cable system, which is a fully-funded project developed jointly by Seaborn Networks and the Werthein Group. The 2,700 km open system, 4-fibre pair, 48Tbps, direct PoP-to-PoP subsea cable will connect Argentina and Brazil. The ARBR subsea cable system will allow for direct onward connectivity to New York, via the new Seabras-1 system. Specifically, the ARBR subsea cable system will utilize Xtera’s submarine repeaters with hybrid EDFA-Raman design. When combined with Xtera’s Open Systems Gateway, this transmission system will provide Seaborn Networks and its customers with freedom of choice for the selection of its preferred terminal supplier. All these elements, including the Power Feed Equipment, are tightly monitored and managed by Xtera’s Network Management Systems. Eletronet, which operates a national OPGW-based fiber optic network with more than 16 thousand km, 155 POPs in 18 States of Brazil, has selected Ciena’s converged packet optical solution to launch new wavelength services for wholesale, Internet Service Providers (ISPs) and webscale companies. Eletronet currently ranks as one of the largest providers of connectivity to ISPs in the Brazilian market, supplying high-speed data transport over its national optical ground wire (OPGW) fiber optic network. Eletronet is using Ciena’s 6500 Packet-Optical Platform to expand capacity and deliver up to 10 GbE as well as 100 GbE wavelengths to transport larger amounts of data across longer distances. Brazil Tower Company (BTC), a privately-held, neutral host tower company with over 600 wireless towers currently in its portfolio, recently closed on US$79 million of a $104 million long-term senior secured debt financing with three international lenders led by Cordiant Capital of Montreal, Canada. BTC expects to close on the remaining $25 million of financing during Q3 of this year. BTC, whose customers include the major wireless operators including Telefonica, TIM and Claro, plans to use the funds to add 600 more towers. "We are very excited about the growth we are realizing in Brazil through new tower development and new collocations and amendments. Our backlog of new towers and pipeline for growth is the strongest we have seen since 2015," said Tom Staz, BTC's Chief Financial Officer and a partner at 1848 Capital Partners in Miami, BTC's primary equity sponsor. "With the support of our new debt facility and a large inventory of customer orders, we will continue to strategically rollout new tower sites over the next 18 - 24 months to double the size of our tower portfolio and triple the cash flows of the business." Eletronet, a national service provider in Brazil with more than 155 Points of Presence (PoPs) and 16,000 km of fiber capacity across the country, has selected Telia Carrier’s global fiber backbone to provide dedicated Internet access to its customers. Electronet provides wavelength and Ethernet services to Internet Service Providers (ISPs). The partnership will also give Eletronet access to Telia Carrier’s Global Network, thus enabling it to offer new options to the Brazilian market in terms of nationwide internet connectivity. The South Atlantic Cable System (SACS) has made landfall at Fortaleza, Brazil, marking a major milestone in the development of the system. The SACS subsea system is a 40 Tbps, 6,165 km cable linking Angola to Brazil. It features four fibre pairs, with each fibre pair capable of transmitting 100 wavelengths at 100 Gbps. SACS is scheduled to be ready for service in mid-2018. Once SACS has been fully commissioned, we will see a significant improvement in communications and content sharing between Angola, African countries and the Americas. With SACS, the delay in transporting digital content, known as latency, will be reduced fivefold, from the current 350 thousandths of a second to just over 60 thousandths of a second," stated António Nunes, CEO of Angola Cables. Oi, the largest telecommunications company in Brazil and South America, announced a major advancement in its bankruptcy restructuring, as creditors voted to approve a plan that reduces debt by approximately 65 billion reais (US$20 billion). The restructuring is believed to be the largest in Latin America to date. The restructuring paves the way for a possible investment of acquisition by China Mobile, although no official confirmation has been forthcoming from the companies. China Mobile is negotiating to acquire the mobile division of Oi, the largest telecommunications company in Brazil and South America, according to report in The China Daily. The deal has not been finalized. China Mobile might have to pay US$3.5 billion in fines owed by Oi to the Brazilian telecoms authority, known as Agencia Nacional de Telecomunicacoes, or Anatel. If it goes through, the deal would be historic on several fronts. None of the Chinese telecommunications carriers have acquired other carriers in other countries. China Mobile, which is already the world's largest mobile operator, would add nearly 41 million mobile subscribers in Brazil. Oi, which was once known as Telemar, was formed through the merger of 16 state-owned incumbent local exchange carriers. The company was re-branded as "Oi" in 2007. In June 2016, Oi filed for bankruptcy protection, citing US$19 billion (R$65 billion) in debt. The case is still pending in the Brazilian courts. Sonus Networks, a global provider of solutions for securing cloud and real-time communications, announced that Brazil's Algar Telecom has selected the Sonus Session Border Controller Software Edition (SBC SWe) to support the nationwide expansion of its SIP peering and SIP trunking services. Algar is a private communications service provider in Brazil that offers voice, video, data and IT services to businesses and residential customers. Leveraging the Sonus cloud-native solution, Algar will gain network-wide sharing of SBC session licenses and the ability to dynamically allocate SBC capacity where it is need across the country. With Sonus' SBC SWe, Algar will be able to quickly expand its SIP services footprint without the need to deploy new hardware. The Sonus SBC SWe and its associated Sonus Insight Element Management System (EMS) will be deployed as virtual network functions (VNFs) across Algar's network. This approach aligns with the company's push towards implementing an advanced network functions virtualisation (NFV) architecture. Sonus noted that as service providers migrate real-time communications to NFV and cloud environments, the Sonus SBC SWe provides a cloud-native approach for SIP session management, interworking, security and resiliency while offering the reliability and features of hardware-based SBCs. The Sonus SBC SWe has been deployed in more than 100 networks to date. Algar Telecom, a part of the Algar group, provides high-speed Internet access, mobile services, cable TV, voice, data, IT and infrastructure and outsourcing services. Algar Telecom has a presence in all of the main regions of Brazil and operates a network with 19,000 miles of optical fibre serving 1.4 million customers in the states of Sao Paulo, Minas Gerais, Rio de Janeiro, Goiás, Mato Grosso do Sul, Parana, Santa Catarina and Rio Grande do Sul, as well as the federal district. Huawei announced that Claro Brazil recently launched what is claimed to be the first commercial 4.5G network in Brazil, incorporating 4 x 4 MIMO, carrier aggregation (CA) and 256QAM technology, in the city of Brasilia. Claro demonstrated 4.5G data rates averaging 250 Mbit/s on compatible smartphones during the release ceremony in Brasilia, which is claimed to be around ten times the average rate delivered on the existing 4G network. Claro also announced its new tariff policy at the event, which features increased data allowances for existing packages. Huawei noted that as smartphones featuring support for both 4 x 4 MIMO and 256QAM become available in the market, users will be able to access the enhanced capabilities offered by the 4.5G network. On the network side, Claro is able to provide mobile Internet access with fibre-like speeds to mobile customers with suitable devices. Huawei noted that 4.5G Evolution helps operators enhance their networks by introducing 5G technologies into existing 4G networks. 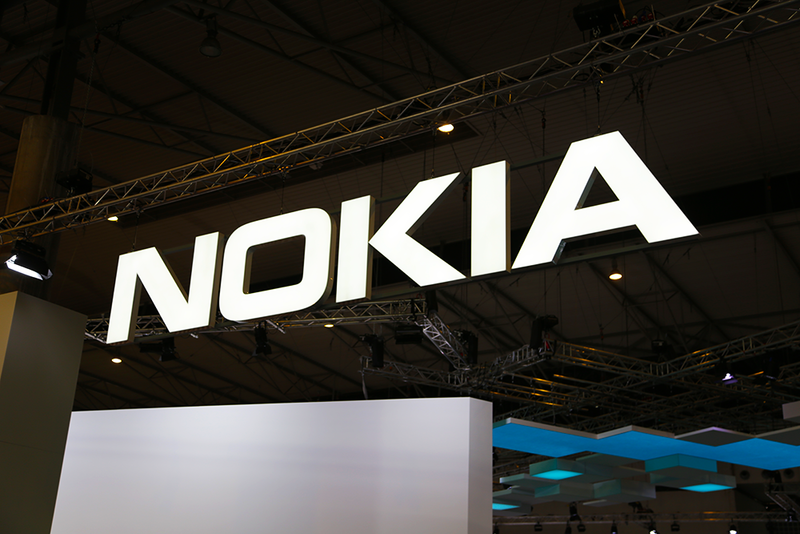 This can allow operators to trial 5G-like services and develop the business models that 5G will support in the future. Separately, Huawei announced that working with French operator SFR it had completed the first pre-commercial field verification of 4 x 4 MIMO technology in France, enabling a downlink throughput of 628.3 Mbit/s using a commercially available phone on SFR's 4.5G network. The tests with SFR involved a commercial phone operating on the live SFR 4.5G network and served to verify that the use of 4 x 4 MIMO, combined with 2 CC carrier aggregation and 256QAM modulation, can enable throughput of up to 628.3 Mbit/s. Huawei noted that SFR is aiming to extend its 4.5G network coverage to 90% of customers in France by the end of the year, and to increase this to 99% during 2018. Commenting on the network launch, Claro CEO Paulo César Teixeira said, "The commercial release of the 4.5G network, with 4 x 4 MIMO, carrier aggregation, 700 MHz spectrum activation and advanced modulation, will help the Brazilian communications industry to play a significant role in the worldwide arena, as the country is a pioneer in this technology… Claro will use the recently acquired 700 MHz frequency band as a part of its ongoing effort to build a quality, next-gen mobile network nationwide". GlobeNet, a wholesale provider of telecom infrastructure in the Americas, announced that the expansion of its colocation facility in Rio de Janeiro, Brazil and the construction of a new data centre facility in Barranquilla, Colombia are scheduled to be completed in August as part of efforts to address increasing demand for wholesale telco and IT services in the Latin American market. Both of the facilities are designed to expand GlobeNet's strategy of providing neutral interconnection for international and local operators, as well as enabling access to international destinations via its subsea cable system. 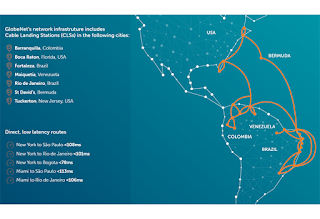 These latest expansions complement GlobeNet's existing optical cable network, which spans more than 23,500 km throughout the Americas. Regarding the expansions, Eduardo Falzoni, CEO at GlobeNet, said, "The 200 sq. metre, upgradeable tier III data centre in Barranquilla allows integrators to offer sensitive customers a secure and resilient environment, diverse from Bogotá, to fulfil IT, security and disaster recovery needs… adjacent to GlobeNet's subsea cable landing station it will support the full suite of IaaS services". GlobeNet noted that Internet penetration in the Latin America region is forecast to rise from around 56% in 2016 to nearly 61% by 2019 according to data from Internet World, with Brazil and Colombia in the top three Latin American countries in terms of Internet users in 2016. The study estimated that there were 139 million users in Brazil and 28.5 million in Colombia at the end of 2016. In May last year, GlobeNet launched 100 Gbit/s wavelength services from New York and Miami in the U.S. to key data centres in Rio de Janeiro and São Paulo in Brazil. Leveraging advanced DWDM technology, GlobeNet's wavelength services offer support for application types and protocols including SONET/SDH, IP and ATM. GlobeNet noted at the time that it had expanded its network to São Paulo via a PoP at Equinix's SP2 facility in 2015. Recently, GlobeNet announced the appointment of Erick W. Contag as executive chairman and Eduardo Falzoni as CEO. Mr. Contag previously served as GlobeNet CEO from 2008. Mr Falzoni joined Globenet as chief commercial officer in 2016, having previously served in senior roles with companies including Latin American Nautilus, Telecom Italia Sparkle and Telecom Argentina. Exceda, a provider of content delivery network (CDN), security, and web intelligence services based in Brazil, announced the introduction of a CDN load balancing service that allows customers to leverage the performance of a multi-CDN strategy. The new Exceda BALANCE service is designed to help customers add, configure, load balance and monitor multiple CDNs through a single managed service to help meet cost and performance requirements. Exceda BALANCE will be available from July 2017. The new service will leverage Exceda's established capabilities in planning, integrating and managing customers' CDN solutions, and provide a single workflow to enable the management of multiple CDNs, monitored by the Exceda professional services team. The BALANCE service will specifically utilise Real User Monitoring (RUM) and synthetic monitoring functionality, along with proprietary analysis tools, to enable balancing of web traffic between multiple CDNs in near-real time based on traffic load, cost and Internet conditions. Exceda recently announced that its XCDN eCommerce-based CDN, currently available only to customers in the Americas region, would be expanded via collaborations with multiple CDN partners to enable the delivery of website content to and from locations worldwide. Established in 2002 in Sao Paulo, Brazil, Exceda is a major Akamai channel partner providing CDN, DDoS, WAF, data analysis and professional services designed to help customers accelerate web performance while reducing their infrastructure costs. Angola Cables, an Angolan telecoms wholesale operator, has announced the completion of the marine survey for the South Atlantic Cable System (SACS) and the commencement of cable loading on the Angolan side of SACS cable, which will interconnect with the MONET cable system linking the U.S. and Brazil and the West Africa Cable System (WACS). The SACS subsea system is a 40 Tbit/s, 6,165 km cable with four fibre pairs, with each fibre pair capable of transmitting 100 wavelengths with a bandwidth of 100 Gbit/s, which will connect from Angola to Brazil. SACS is scheduled to be ready for service in mid-2018. Angola Cables stated that completion of the marine survey ensures that the cable will be deployed along the best route, avoiding hazards. Conclusion of the marine survey means that final manufacturing can be completed and route and cable type selections fine-tuned based on the survey findings. As a result, loading of the pre-laid shore end (PLSE) is complete and the construction of SACS cable is underway. Angola Cables has commissioned NEC to build the cable system and contracted Ocean Specialists (OSI) to oversee the construction process. NEC announced in April last year that it had been selected to deploy the SACS system. Angola Cables is an international wholesale provider focused on delivering capacity on international routes. Angola Cables is one of 12 members of the consortium managing the WACS cable system serving Angola and sub-Saharan Africa. The 14,530 km WACS cable extends from South Africa to the UK, with 14 landing points, including 12 along the west coast of Africa. The company also operates the Angonix IXP exchange at its data centre in Luanda, Angonap. In early March, Ciena announced that Angola Cables had selected its GeoMesh and Blue Planet solutions to support the launch of a new service over a 10,556 km route on the MONET subsea cable, which is currently under construction and expected to be completed in the second half of this year. 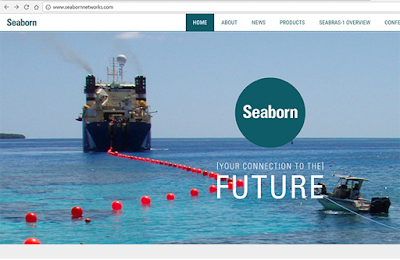 Seaborn Networks, an independent developer-owner-operator of submarine cable systems, and Grupo Werthein, a major Argentine investment holding company with significant holdings in the telecommunications sector, announced a binding agreement for the construction of a new subsea optical cable system, named ARBR, connecting Argentina with Brazil. The new ARBR cable system will additionally provide onward connectivity via Seabras-1, which is currently under construction, to enable a direct route between Argentina and the U.S. The ARBR system will be jointly developed and owned by Seabras Group, an affiliate of Seabras, and Werthein. 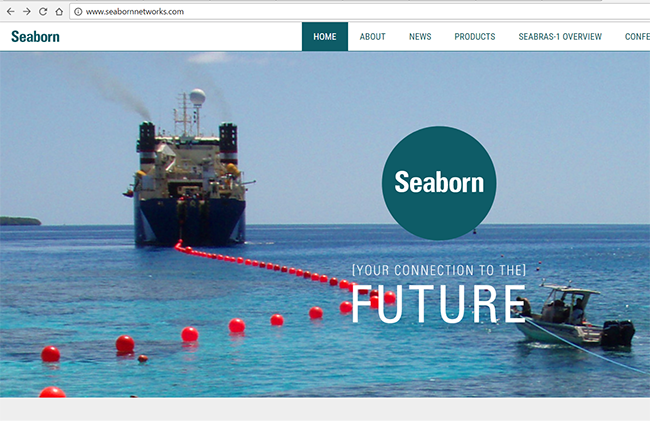 Seabras is the sole owner of the Seabras-1 submarine cable system between New York and Sao Paulo in Brazil, which was developed and is operated and owned by Seaborn Networks, in partnership with funds managed and/or advised by Partners Group, a global private markets investment manager. Seabras noted that it has sold capacity on Seabras-1 to a variety of large and small telecommunications companies and other customers, both via indefeasible rights of use (IRUs) and on short-term lease agreements. As with Seabras-1, Seaborn will act as the operator of the ARBR system. Seabras stated that together the ARBR and Seabras-1 cables represent a total project value of more than $575 million. The ARBR cable will be a four-fibre pair system with and will offer an initial maximum design capacity of 48 Tbit/s. The system has a scheduled completion date in the second half of 2018. The ARBR cable system's Brazil landing will be located in the existing Seabras-1 cable landing station in Praia Grande, Brazil, enabling direct onward connectivity to New York over Seabras-1. The Argentina landing for the new cable is expected to be in or near Las Toninas, to the south of Buenos Aires. In December 2016, Seaborn announced the introduction of SeaSpeed, offering low latency point-to-point connectivity between Carteret, New Jersey and São Paulo in Brazil and connecting key financial centres in North and South America. The Seabras-1 cable system has a committed ready-for-service date of June 2017.